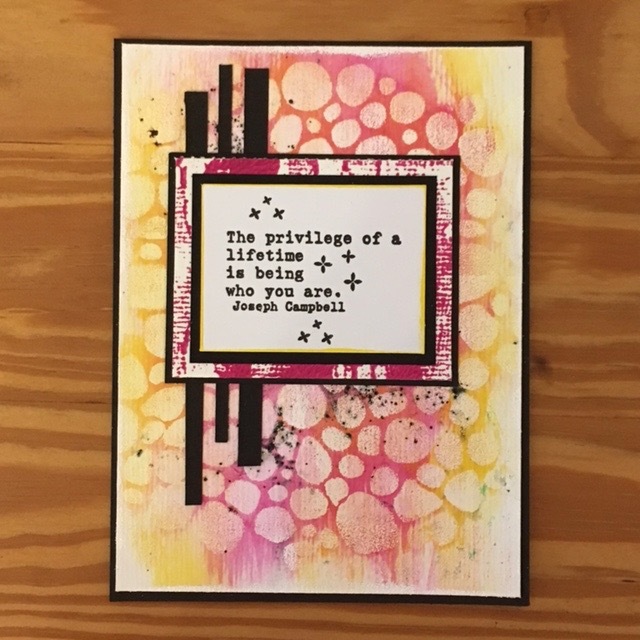 Hi everyone, Sara Naumann here to show you the latest stamps and stencils I designed for PaperArtsy! As you've probably noticed, I take a lot of my inspiration from nature and found items...you honestly would not believe the stash I have of postmarks, old envelopes, vintage letters, and bits of paper with handwriting. My seven-year-old daughter is also trained to spot (and collect) interesting leaves, twigs and branches, which all get photographed or scanned and combined in some way with my paper ephemera. I will confess to being a bit of a magpie, but I think it all works out in the end, right? And of course quotes. 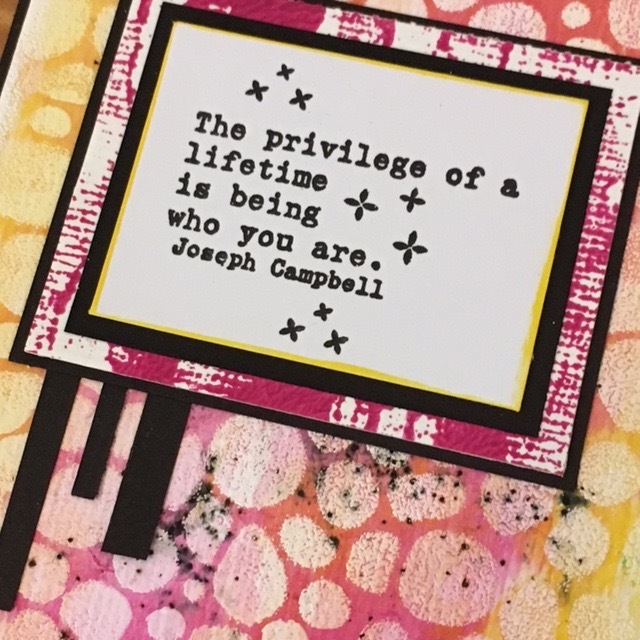 I LOVE quotes, as you know, and there are so many good ones out there that are perfect for expressing ourselves through cards, art journals, mixed media art and so much more. 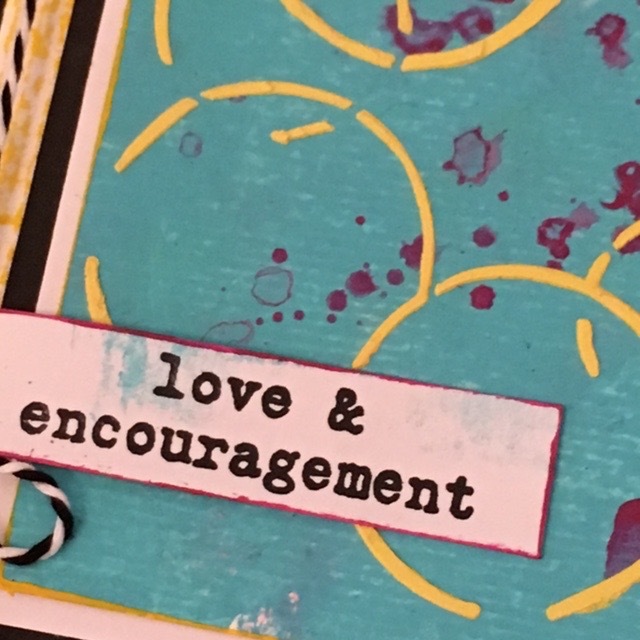 I can't wait to show you my new stamps and stencils! There's an art sample for each new product, plus a couple of bonus projects at the end of this post because quite frankly I got going and couldn't stop. One last thing: For all the samples here, I worked with a combination of Bougainvillea, Caribbean Sea and Banana Fresco Finish paints. You'll also see some Black Knight Infusions too and a little Grunge Paste. You might also spot some texture on my backgrounds—I used a lot of textured heavyweight cardstock since I was using so much wet medium. 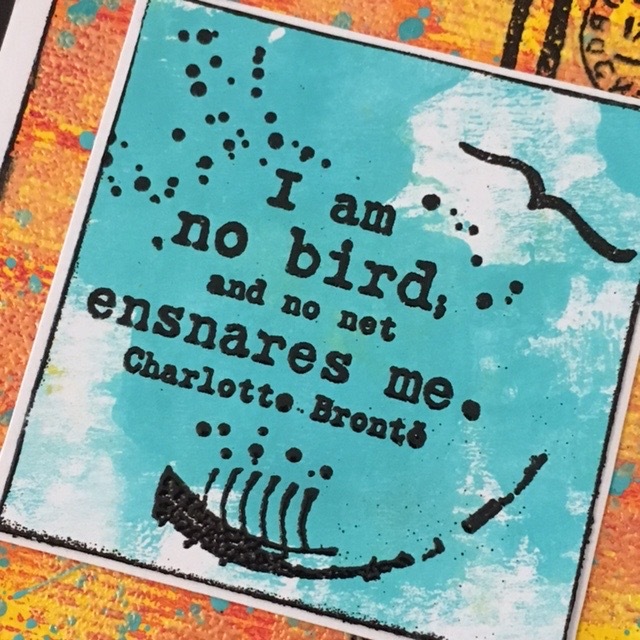 PaperArtsy stamps are red rubber, and all made on site at our headquarters in Essex, England. We design, press, trim and package all our stamps in house. We use an art quality, soft red rubber which allows a perfect transfer of ink from rubber to surface. 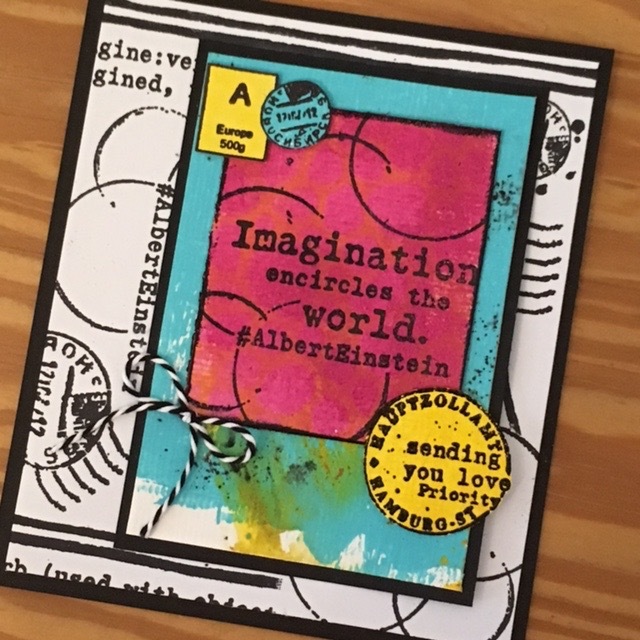 I love how the large focal image on this stamp set can so easily be stamped, cut apart and rearranged to create a new image! You could shift the leaves to the other side of the postmark, stamp more of them and create a cluster or leave them off entirely...so many options. This focal element is another altered postmark, this time embellished with leaves. Notice the splotches above the postmark? Someone spilled their coffee on the floor of the U-Bahn (our metro here in Hamburg) and the pattern looked so cool that I took a photo. 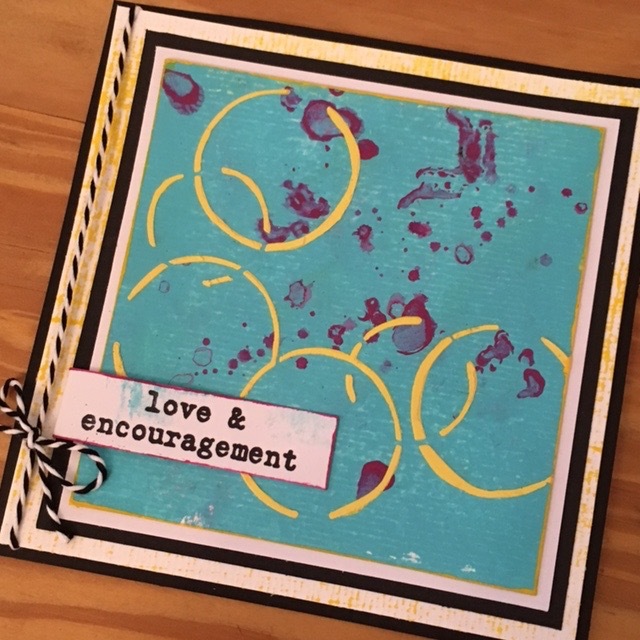 The project background has a wispy vine motif that's been embossed with magenta, and I love how the white-ish background contrasts to the colorfully brayered focal. The yellow spatters are that fabulous Banana paint, watered down and spattered over the black-embossed focal. 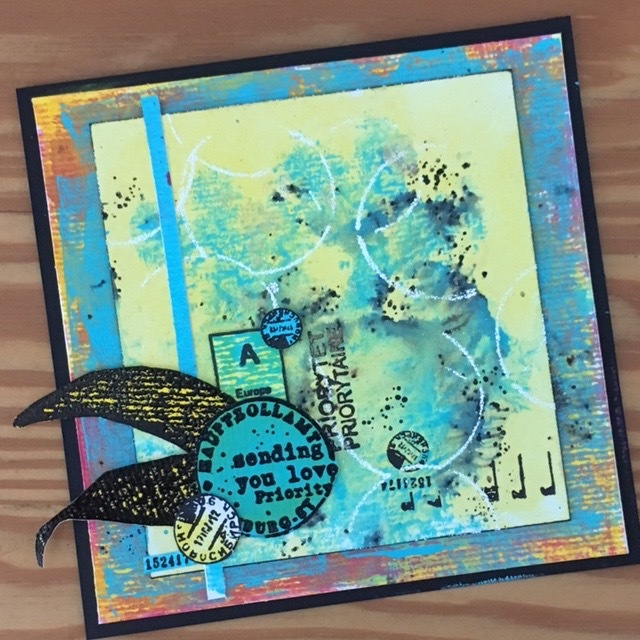 The embossing acts as a resist so you get a lovely layer! 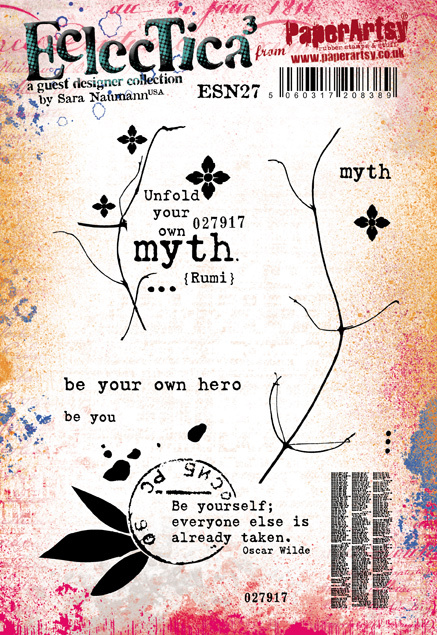 I love this quote so much—it celebrates a real spirit of freedom and individuality. (Bearing in mind that Charlotte Bronte wrote under a pseudonym in order to get published.) 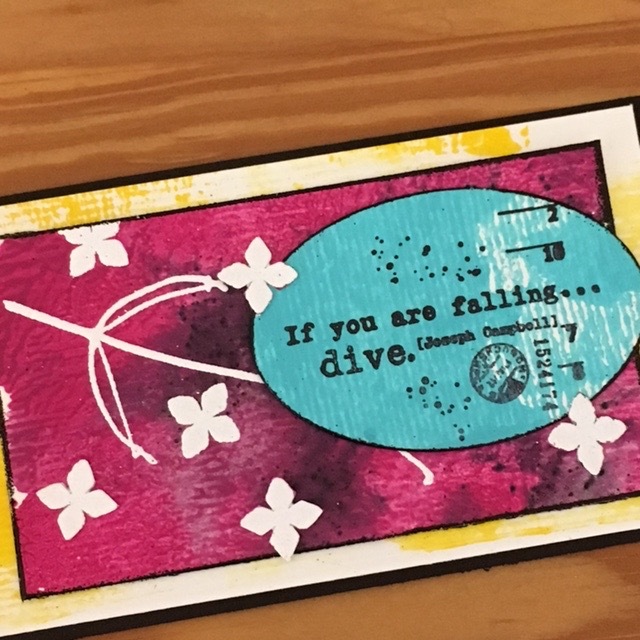 The quote is black-embossed for detail and emphasis; the Caribbean Sea paint was brayered onto smooth cardstock to be the background for it. 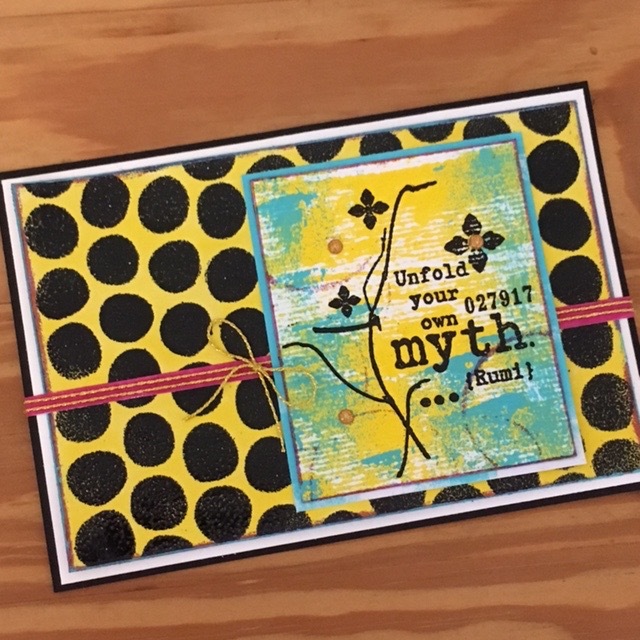 You'll notice some texture on the Banana-Bougainvillea background because I'm using a slightly textured cardstock. I used the two paints wet-into-wet so I was able to blend them a bit into a lovely fresh orange. 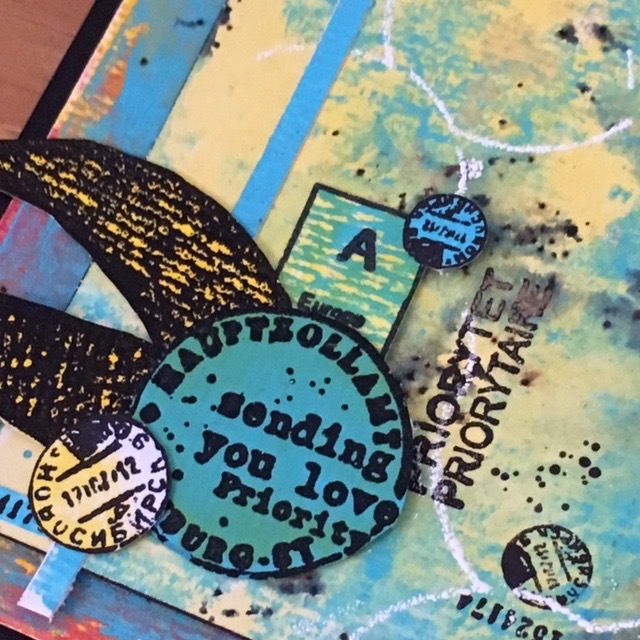 Here at PaperArtsy, we use a strong mylar for our stencils which gives you the perfect depth for pastes and gels, and produces a robust stencil for easy clean up. In some of the more intricate designs, you may find a stencil brush is useful with paint and ink to get a nice sharp result. I have a thing about circles! Especially when combined with the more linear look of lines of quotes, a grouping of circles provides a lot of dimension and contrast. To stencil these circles, I tinted Grunge Paste with Banana Fresco Finish. And those Bougainvillea splotches? Also from the stencil, which features another version of the spilled coffee I photographed on the U-Bahn! I told you I love circles! 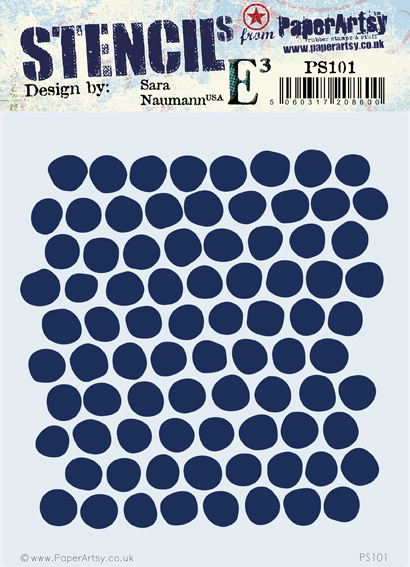 Well, how about an entire stencil with dots? I find this pattern so useful, and here I've used it with black embossing powder against a Banana background. 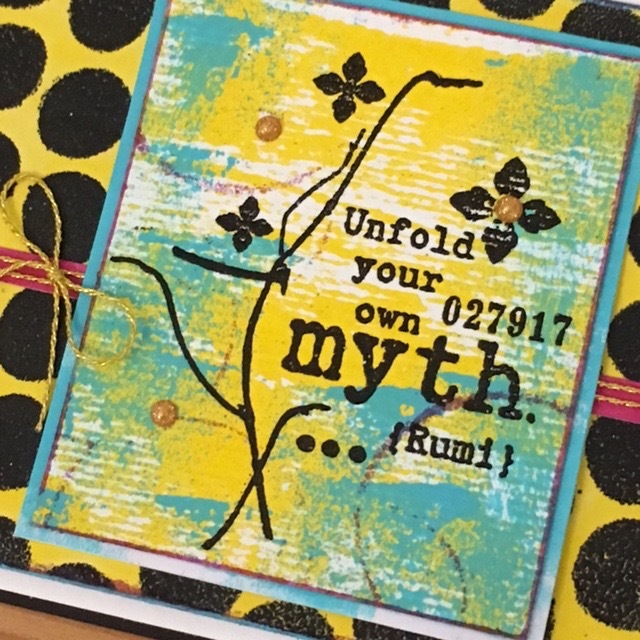 Just press an embossing inkpad through the stencil, lift it off and cover the wet ink with embossing powder. Tap off the excess and heat set. Circles are fabulous...and wonky, potato-shaped circles are too! This faded background is a bit of Bougainvillea blended with Banana on top of a white-embossed stencil design. I tossed on some Black Knight Infusions after heat-setting the embossing, then spritzed with water and blotted it dry. The whole thing was quite messy to make in the best possible sense! 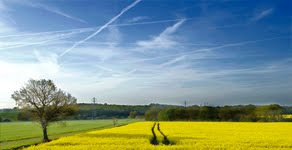 With that colorful background, a simple focal element is all you need. 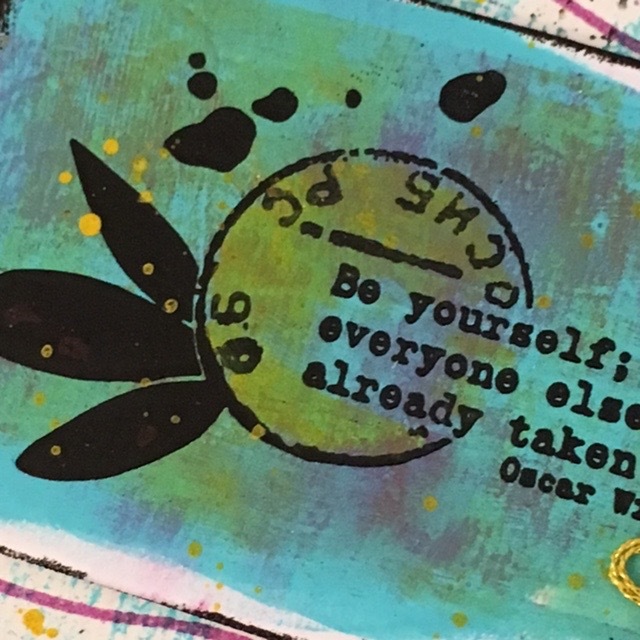 This quote stamp is from ESN26. 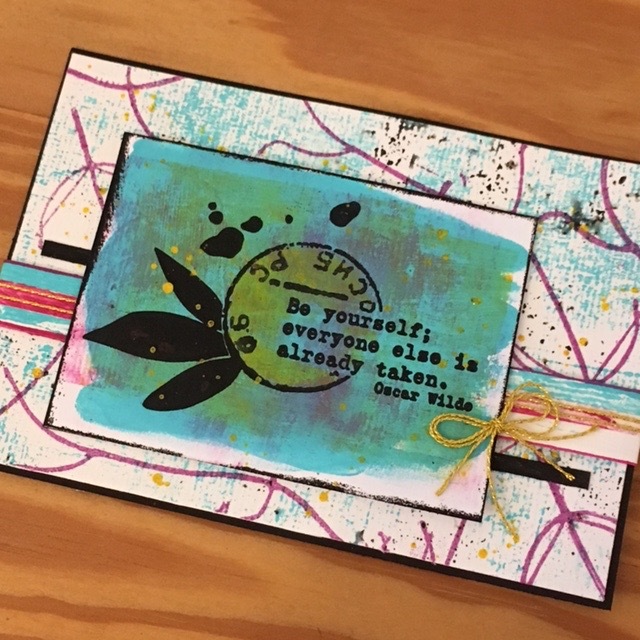 I've made a few more samples with a mash-up of stamps and stencils here. 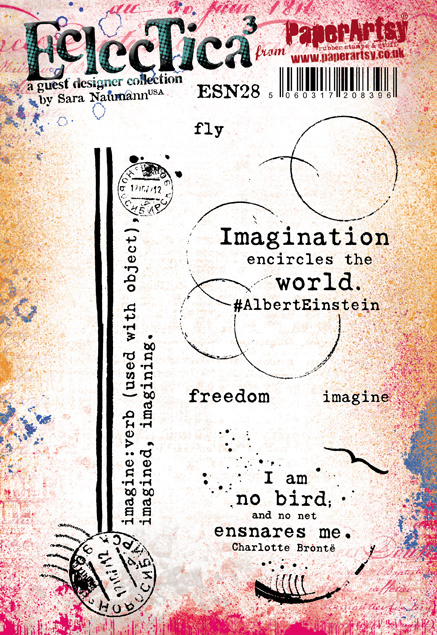 This one is using the large Imagination stamp from ESN28 as the focal; the background is also from that set. You'll notice the Hamburg postmark from ESN26 too. And if you look really closely, you'll see the potato dots of PS102 are embossed with magenta just behind the Imagination quote. One more, why not? Here I've got another mash-up of the quote (I LOVE this quote!) from ESN26 combined with a white-embossed vine from ESN27. The little 4-point flowers are cut out and overlapping parts of the sentiment. Whew! I really hope you've enjoyed this blog post—thank you for coming with me on this creative journey. 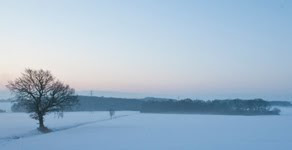 My wish is that you're inspired and ready to go off and have a fabulous time creating your own pieces. As always, a massive thanks to the folks at PaperArtsy for continuously providing us crafters with such quality stamps and stencils. It's a pleasure and a joy to work with well-made supplies. And thank you to Leandra for her support and encouragement (you should have seen me endlessly reworking that PS102 Potato Dot stencil until we were both happy). Sara, I can't tell you how much I love this new collection.... Amazing... congratulations! Haha why am I not surprised Miriam bet me to the first comment! Congratulations Sara! Amazing stamps! 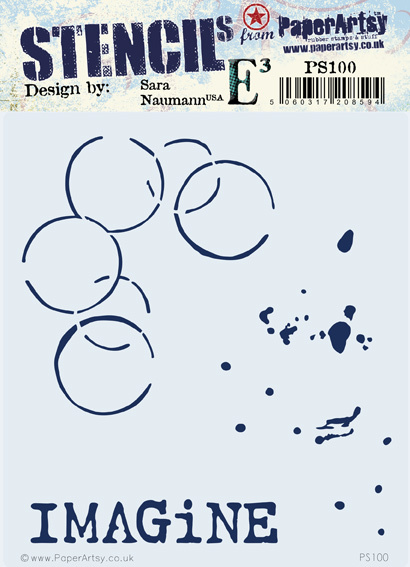 Fantastic new stamps and stencils - LOVE the circles, you can never have too many different circles! 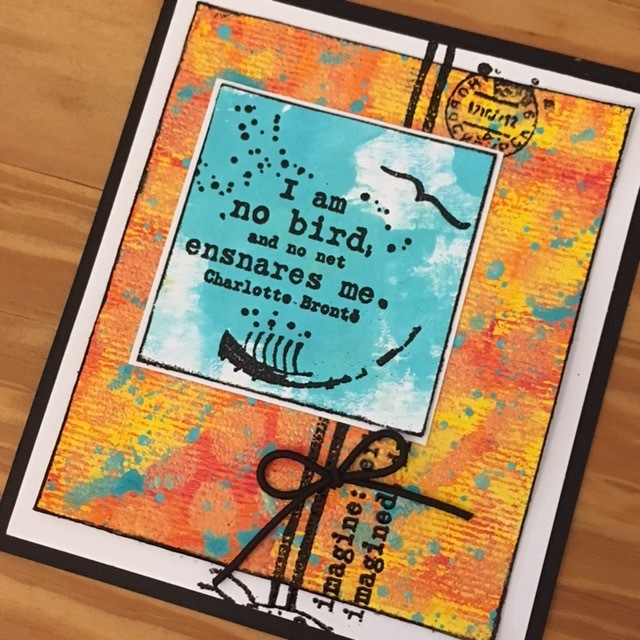 I love both new stamps and stencils, Sara's images are great classics and I often pull out the same sets over and over again. Ha ha... Am I that predictable! Lol! They are awesome though! Wonderful new designs. Yahoo. Love them all but stamp Set 3 calls to me! Oh, cool. 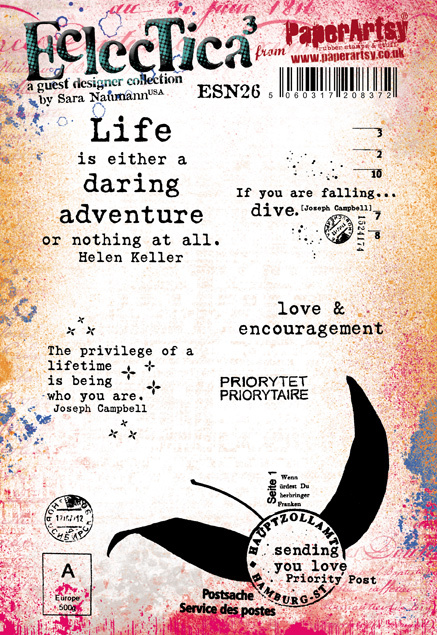 I really like the inspirational and encouragement quotes, so useful for many occasions. 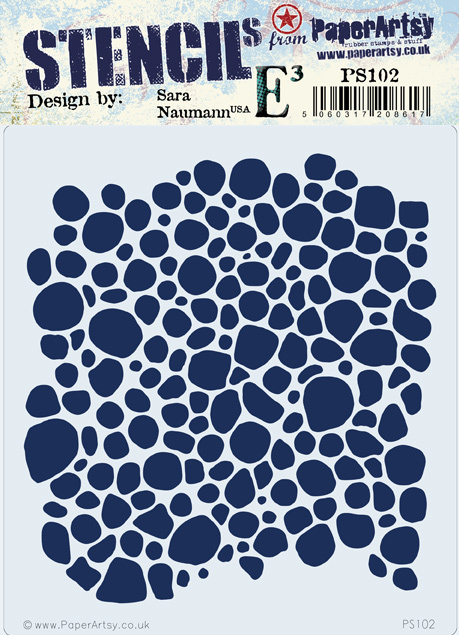 Sara's stamps are my most used, her designs are timeless and versatile.